First of all I would like to thank everyone who has supported and had belief in me. 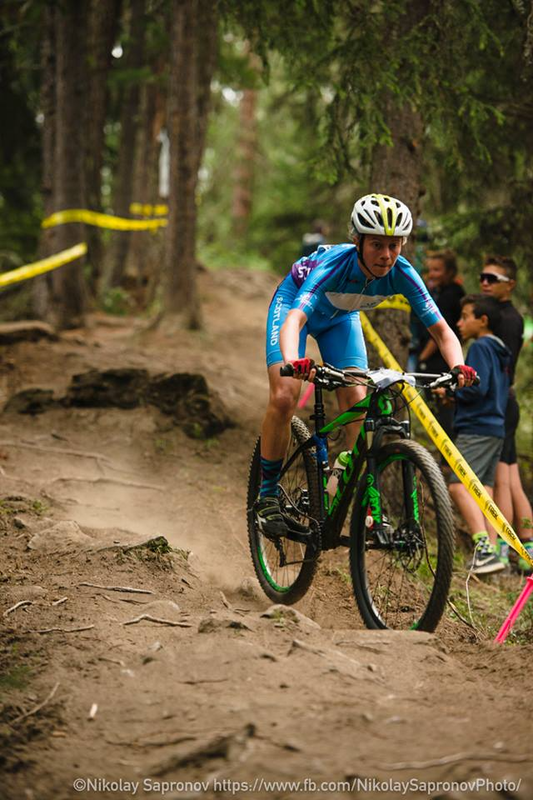 I never thought 2 and a half years on from joining Glasgow Riderz I would be sitting in Milan Malpensa International Airport writing a blog post about my racing experiences at the European Youth MTB Championships. I must admit that racing the XCO on the final day was by far the greatest race I have ever competed in and I loved every moment. It was a constant battle: fighting for position; avoiding crashes; being line smart. After this fantastic experience I would honestly do anything to be right back there on that start line with 80 of Europe’s fastest U16 female riders. On Monday the 20th of August we arrived in Milan Malpensa Airport, got in the hire car and drove to Pila. Well, at least we thought we were driving to Pila. It turns out Italy has 2 Pilas. Both of which are small villages situated in the Alps about 2 and a half hours drive away from the airport. So after wondering why there was no gondolas, Graeme, our expert navigator came to the conclusion that we had driven almost 100km to the wrong place. Thankfully after the rough start, our trip ran more smoothly and at about 7:30ish we arrived at Residence Les Fleures, our temporary home for the next week. Not long after saying “hello” to the fellow Scots we sat down and dug into a bowl of pasta (the first of many) and then went to bed. Tuesday was by far one of the most relaxed days although unfortunately for me I was suffering from a chest infection. I woke at 6:30am and sat eating my porridge, taking in the spectacular scenery. The previous night we had all came to an agreement that we should meet at 9 by the gondolas, which were fortunately only 200m from the accommodation. Once up on the resort we headed out with Crawfie to reccie the course. The course was like nothing I had ever seen. A-Line, after A-Line, it was riddled with technicality and sharp climbs. It was undoubtedly the best track I had ridden. After scouting various lines we headed out for a lap with as few stops as possible. With the XCO course sighting laps complete, we moved onto the TT course. The course was relatively short and featured one awkward, tight corner. It seemed like quite a lot of people where struggling with it, many of which including myself couldn’t decide what was the optimum line. Eventually, the general consensus was to stick as tight as possible to the apex of the corner. Wednesday was a completely different story. I was super stressed out, mostly because it was the first day I was experiencing pre-race nerves. Unfortunately I have a tendency to put a lot of pressure on my self. My start time was 1:15 and I was already on my rollers at 12:40. After my warm up I arrived at the start with plenty of spare time. Riders were set off in intervals of 30 seconds and teams were advised to arrive 5 minutes earlier than their start time to ensure the competition ran smoothly. Shortly after arriving I was standing on the start line with my dad wishing me luck and a commaisare counting down from 5. I felt I had a strong start, but unfortunately my front wheel slid out on one of the grassy corners causing me to put a foot down and then try and locate my pedal. The next obstacle was a couple of twists and turns before the dreaded corner. Thankfully I made it through cleanly although probably not the fastest. The course finished with a killer grassy climb, which ramped up more the closer you got to the finish. I finished with a reasonable time considering I wasn’t at 100% health. Although what surprised me the most was if I went 10 seconds faster I would have been gridded in the top 25 instead of 59th. Every millisecond counted and although I was quite disappointed to be gridded so far back, I know that I did my best considering the circumstances. Thursday was the first medalling race, the team relay. After a long debate we opted for Jonte to go first, Gregor to follow and myself to finish. For the race our team was gridded 49th. Jonte started and thankfully managed to avoid a chaotic crash. In no time at all Jonte had finished his lap and Gregor was setting off. It was soon my turn and after a successful handover I sprinted out the gate and up the hill. The course was even more physically demanding than I initially thought and with the additional factor of boys and girls racing simultaneously, it was super tough. 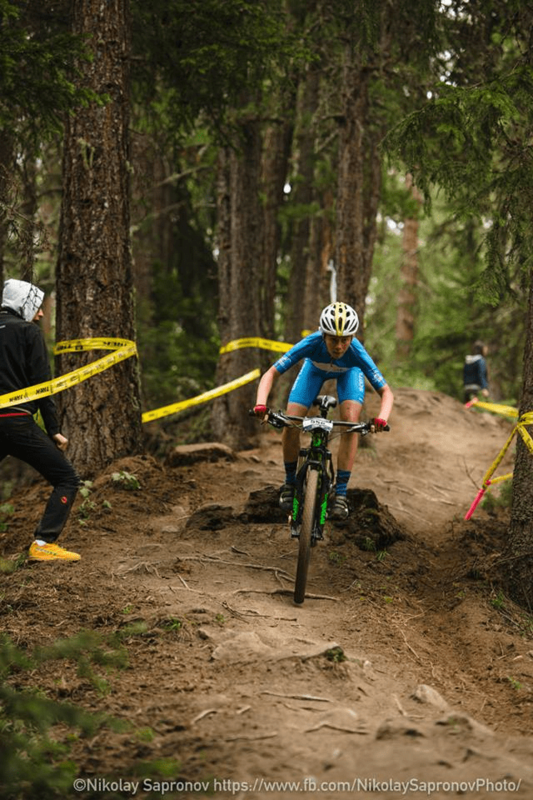 A lot of riders were quite aggressive, which was understandable considering it is the most prestigious event on the youth mountain bike calendar. We ended up finishing 51st, which was a respectable result. The other Scotland teams also did very well and overall it was a very positive experience. On Friday it was our rest day, so instead of pinning on numbers we went for a casual spin by the river in the valley. The remainder of the day was spent relaxing and dawdling through Aosta eating gelato. On Sunday I was not racing until 4pm so I had a quiet morning in the chalet before heading up to the venue at mid-day. I then went to grab my lunch, which was my 5th bowl of pasta in 5 days, and then chilled with the other Scottish girls. Soon it was time to warm up and head to the gridding area. The arena was fairly packed however the gridding process remained calm and orderly. Once everyone was lined up there was a 1 minute wait before the gun went. By this time my heart was hammering and I was solely focused on the task at hand. Once the gun went, there was a lot of crunching of gears and on the first corner many riders stalled. Fortunately, I did not get caught in the carnage. We then continued onwards and upwards following the fire road often at times, riding four a breadth. The first A/B line, The Snake, was mayhem. Everyone had come to a stop. I dismounted and ran down the descent. For the whole of the first lap I was managing to pick off riders, all the while getting chased by a Swedish rider. I found that I was often getting held up on the descents or technical climbs. On multiple occasions on the first lap I had come very close to riding over a couple of people that had crashed directly in front of me. After completing my first lap, which wasn’t even a full lap, I grabbed a bottle from my dad in the feed zone and made my way up the long, steep climb. Thankfully it was not as hot as it had previously been during the week. Although I realized that if I went into the red zone it was going to be exceedingly hard to get out. As you can imagine racing at 1800m doesn’t give you a lot of oxygen.So despite wanting to go all out, I had to refrain from doing so as to prevent the chance of ‘blowing up’. Strangely as the race progressed I found the descents not as tiring and in fact I was beginning to feel more and more alert. I needed to reserve some energy for the final climb up to the finish. Throughout the duration of the race not once had I got up the climb on two wheels. Either I was close to the top and got held up or I was one of the riders holding people up as I tackled it by running. By the third lap I was becoming increasingly more exhausted. I was suffering and my face resembled a ripened tomato. All of a sudden I was super tired even though on the previous lap I still believed I had bags of energy. As I made my way towards the final A line, a Danish girl crashed on it. At the last second I swung into the B line. I passed her and did some last minute overtaking by foot on the final climb. I then raced towards the finish line, crossing it for 48th. I was and still am super happy with my result but as I reflect on it there is quite a few “if only’s” that pop into my head. 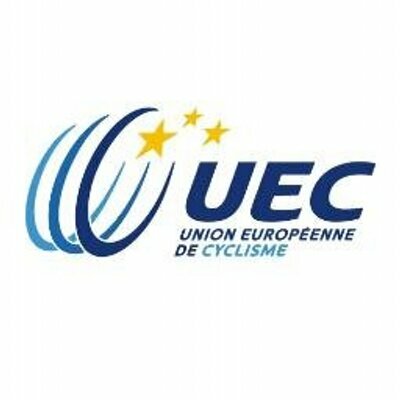 Not least the fact that at my first and last European Youth Championships I was not at 100% health. At the time I gave it all I had and now I am just craving for the next opportunity to better my performance on this world-class field. To sum it up I have had one hell of a good season. One which 3 years ago was merely a figment of my imagination. It just goes to show how all the countless Saturdays spent riding around Nether Pollock in the torrential rain can lead you to such great opportunities. Anyway thanks for reading, I am off to dream bigger and get back to work.